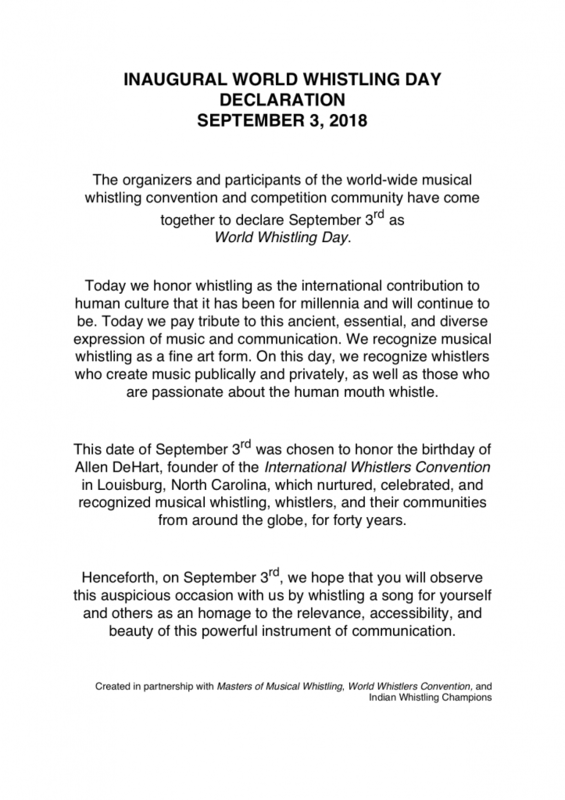 We are happy to announce the date for The World Whistlers Convention in 2020 (WWC2020). Details will be uploaded on this website. We are planning to hold the next Convention (WWC) in 2020. We will be announcing the place and schedule of the Convention half year or one year before the event. We haven’t fixed the detail of the next Convention yet however we believe there will be no major difference especially regarding the Categories and Divisions from WWC2018 style. Reservation for Symposium on May 3rd reached limit and closed.